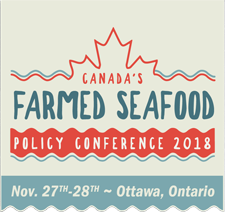 About 150 participants, passionate about Canada's seafood farming opportunity, will convene in Ottawa for Canada's Farmed Seafood Policy Conference 2018 and Annual General Meeting hosted by the Canadian Aquaculture Industry Alliance (CAIA) on November 27-28. This year's conference theme, Accelerating Sustainable Growth, reminds participants of the growing demand for seafood and the tremendous opportunities for Canada and Canada's seafood farmers in terms of global leadership, job creation, indigenous partnerships, innovation, and sustainable development. The annual conference brings together leaders from the Canadian farmed seafood sector with federal government leaders for policy discussions and building awareness. It is a unique forum for Canada's seafood farmers to learn about and impact on the federal initiatives lending to the future growth and development of our sector. 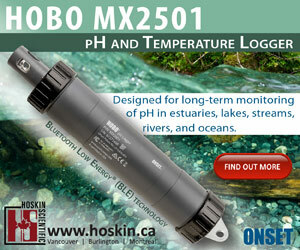 Program details are available online at www.aquaculture.ca/farmed-seafood-policy-conference-2018. Follow CAIA on Twitter: @CDNaquaculture / #CAIA2018.